Hello, welcome to my digital business card. As a Business Development Executive, my role is to service valued clients like you. Please have a look to the latest news, messages, and special events further down on my digital business card. Feel free to contact me via phone, email, chat or LinkedIn: I'm looking forward to interesting discussions with you or linking you with the right colleagues from IBM Global Business Services, Global Technology Services, Systems Hardware, Software and/or Global Financing. Talk soon! How insurers can shift from reactive risk adjusters to proactive life companions for their customers and how AI can help. 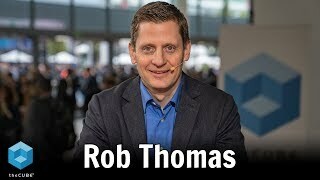 Interesting 12min interview with Rob Thomas (General Manager, IBM Data and AI) from IBM THINK 2019: video gives a good background on current and future direction of AI.